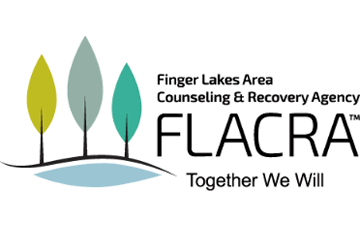 Full Time positions in Addictions Crisis Center located in Clifton Springs. Evenings/Overnights. Must have current LPN License, CPR and valid Drivers’ License. Detox experience helpful. Bilingual English/Spanish a plus. Shift Differential. This is a professional position responsible for evaluating, planning and providing occupational therapy treatment to patients, individually and in groups, in accordance with written prescription or referral from a physician who provides medical direction. The Occupational Therapist is responsible to a Supervising Occupational Therapist for the operation of the department. General supervision may be exercised over Occupational Therapy Assistants, Occupational Therapy Aides, clerical staff and students assigned to the service. Does related work as required. This is a professional position at Monroe Community Hospital responsible for evaluating, planning and providing physical therapy treatment to residents in accordance with a written order or referral of a licensed physician. Work is generally performed on weekends and nights when direct supervision is unavailable. The employee reports directly to and works under the general supervision of the Rehabilitation Director. Does related work as required. Licensed and currently registered by the New York State Education Department as a Physical Therapist. This position, located at Monroe Community Hospital, is responsible for administering cardiopulmonary procedures to hospital residents. Primary responsibility is receiving and carrying out Physicians' and Nurse Practitioners' orders for modalities falling under the Cardiopulmonary Unit's scope of practice. Duties involve participating in the development and delivery of the respiratory care plan to residents. The employee, in many instances, works independently. The employee reports directly to, and works under the general supervision of, the Cardiopulmonary Services Manager or other higher level staff member. Does related work as required. Graduation from high school or possession of an equivalency diploma plus either possession of a valid Respiratory Therapy Technician (RTT) license or a valid Respiratory Therapist (RT) license issued by the New York State Department of Education (NYSDOE). This is a professional position involving responsibility for providing comprehensive evaluation, diagnosis and treatment of language, voice and speech disorders. Employees of this class are responsible for the evaluation of the communication functions and disabilities of patients in a health care facility and for providing treatment to restore or improve communication effectiveness by utilizing a team of specialists. The work is performed upon the written order or referral of a physician who provides medical direction. The Speech Pathologist reports to the Supervising Speech Pathologist. Supervision of others is not a responsibility of this position. Does related work as required. Licensed and currently registered by the New York State Education Department as a Speech Pathologist. 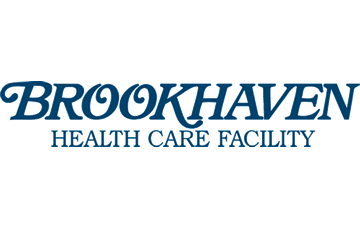 Under the direction of the Program Director, is responsible for coordinating and overseeing all health care services, including health education, required by the children and adolescents residing in the community residence program. • Must be a registered nurse (RN) with either an associate degree or a bachelor’s degree, a current New York State license, and experience working with children/adolescents with serious emotional disturbance. • A valid driver’s license passing insurability guidelines. • Must meet the requirements of the School Age Care, Day Care, and/or Mental Health Regulations regarding a State Central Register Clearance regarding history of abuse/maltreatment of children and Criminal History Review for criminal convictions.